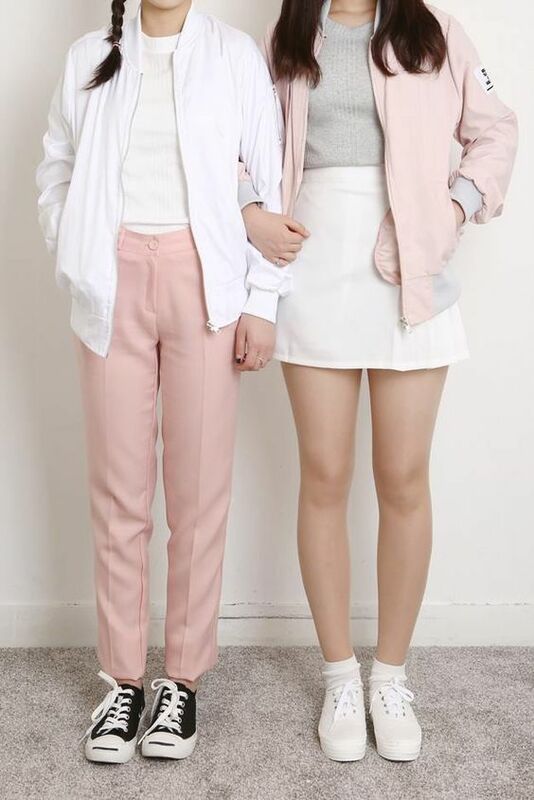 The art of dressing up with pastel color outfits. The hues that are extremely sweet, delicate and delicious. We're just trying to find some colors in this black and white world. How about pastel color? One can't deny that black and white is the most classic and favorable for everyone. But don't forget that at least the fashion trend has recently sweetened up with the most tender and delicate of shades, which are delicious blush pink, baby blue, mint green and lavender tones. It is a fact that every woman has feminine side deep in the heart, even a tomboy does have too. 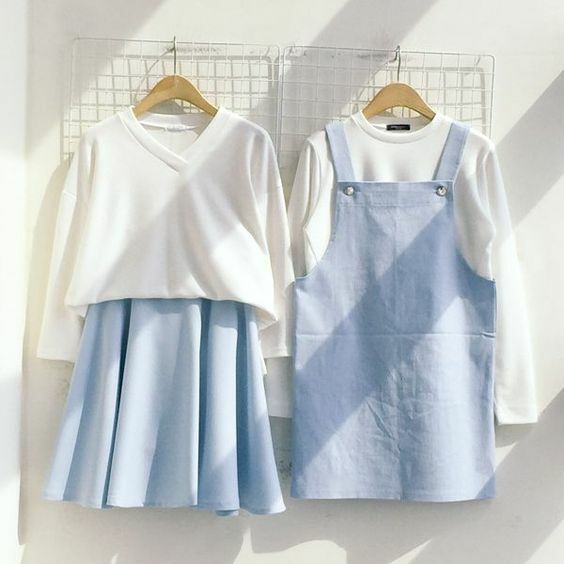 If a girl told you that she doesn't like pastel color at all, it isn't true. It is just that they are afraid of being judged by the public with those malicious comments. You all should be confident in who you are! There aren't rules that suggest that pastel-colored outfit is reserved for CUTE Girls. Pastel color is meant to be for EVERY girls! If you still doubt on it, let's scroll down and see how you should mix and match it. If you are new to this trend and wanna try out whether you could pull off pastel color or not, my advise to you is to mix with your base with a NEUTRAL color base which is black, white or navy color. For example, you can pair pink midi-skirt with a plain white top. Or maybe you can try pastels office wear by pairing a black blazer with a pastel dress or maybe the other way round. It just looks simply nice and sweet. Your pastel fashion will never go wrong with the match of a neutral color base. "I'm tanned, pastel color doesn't suit me at all." No doubt that most of the pastel color only looks nicer when put on fairer skin girls. And this leads to a lot of tanned girls trying to avoid pastel fashion. If you afraid of it due to this reason, then try on pastel blue color first before you really want to say bye to pastel color. Blue is the color that suitable for all skin color from the range of baby blue to turquoise. Besides the wide range of shades could be chosen, there is also a wide range of type of outfit could be mix and match from skirt to dress to pants. So there is no excuse to ditch pastel fashion away from you. If you had tried the above before, then you could proceed to next level which is mixing the tops and bottoms with both pastel color. There is 2 ways to pull off with this type: Mixing the tops and bottoms with monotone or similar color tone, Mixing the tops and bottoms with 2 different pastel color. It is easier to go with the first one which is mix and match with monotone but it is a bit tricky to go with the second one. Here are some tips on color matching that you probably want to know in order to look more delicate >>> blush pink + lavender purple, blush pink + mint green, baby blue + blush pink. 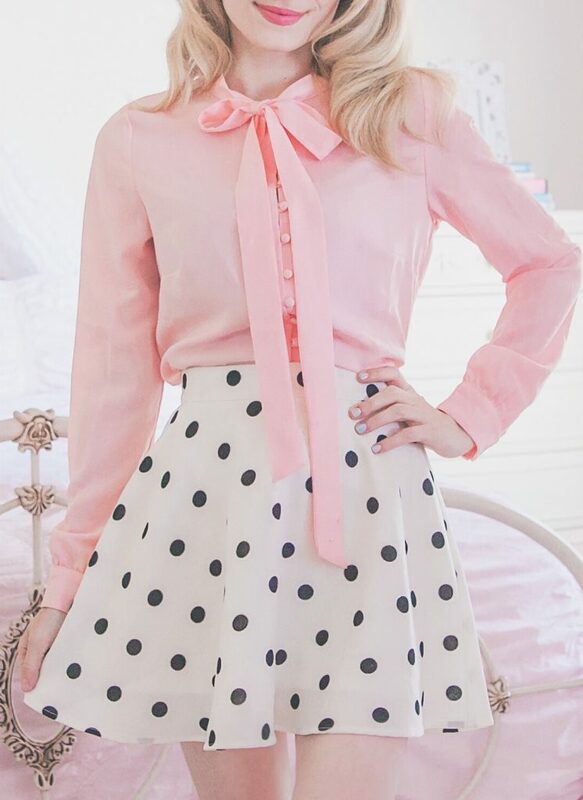 If you not only looking for a sweet-like-candy look but also want to look more feminine, yes you can just pair it up with a white skirt, either a pleated skirt or A-line Skirt. A simple plain design skirt would not only make you look feminine but also look slimmer, isn't it create a kind of look that every woman desires it to be? Guess that everyone knows that the favorite Pantone color of this year 2018 is ultraviolet right? It is a dramatically provocative and thoughtful purple shade wherein pastel fashion. We would introduce a similar color tone with a lighter shade which is lavender purple, also known as light pinkish purple. You also could match your outfit with ultraviolet color but please remember that you need to match it with lavender purple so that your overall outfit would not be too overpowering. The lavender purple would helps to soften your overall look. Maybe is time for you to withdraw yourself away from your comfort zone and try on this ice cream pastel color fashion, looking sweeter day by day. Timberland Giri Collection is overwhelming with style and ultimate coolness. YOKOGIRI and KESAGIRI inspired by the way of Samurai! Jung sisters as your fashion sensei! Weird fashionable makeup that you will not want to try! Thought you know fashion well? Think again! Now you can slip into something more comfortable without even taking your shoes off.